More information, simpler, more control. 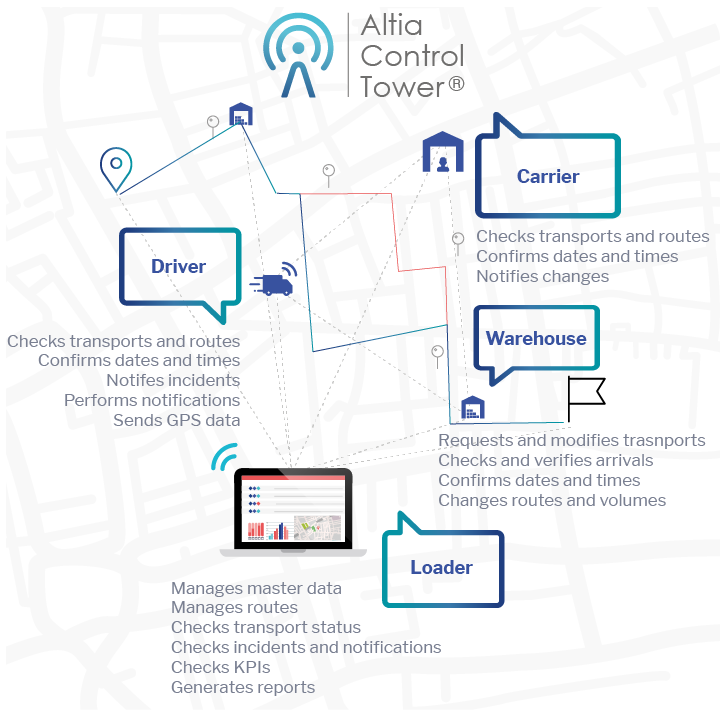 Altia Control Tower ® is the Transport Management System that unifies, simplifies and manages all your transports through a single tool. A colaborative logistic network based on the integration of all the actors of the logistic chain, born with the aim of getting the most advantage profit out of your transport strategy. Web platform and mobile app: different versions, same objective. all the systems, providers and carriers interconnected within the same tool. complete and in real time, from all the logistic chain. without any installations and with an intuitive system. comparing data and anticipating incidentals. that improve the available information and quantify the performance.